Experienced nurses Lisa Barton and Jane Garner witnessed the frustration felt by the fragmented and slow training currently offered to newly recruited practice nurses. The frustration came from both the GP management and the newly recruited nurses, making Lisa and Jane certain there was a way to deliver the required training that was a win/win for everyone involved. Using their years of experience and inside knowledge of how GP surgeries operate, Lisa and Jane developed the course based on the Practice Nurse Competency Framework and their extensive experience as practice nurses. The programme is based on current national guidelines and policies and backed up by professional subject experts. Jane trained in Bristol before starting her nursing career at Cheltenham General Hospital, specialising in gastro enterology. She was at Cheltenham for 5 years before making the transition to practice nurse in 2005. 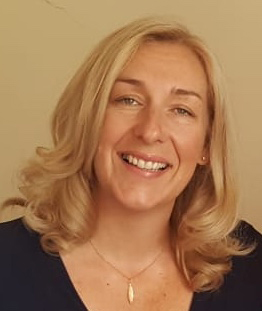 As well as being a mother to two girls and a foster carer, Jane is a practice nurse at Whiteacres Medical Centre in Malvern, Worcestershire and does locum nurse work in the local area. 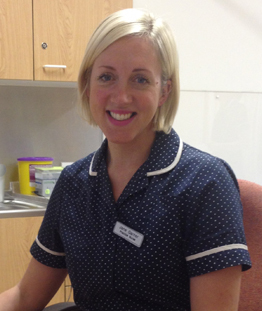 As a practice nurse Jane is trained in Travel Health, Child Imms, Wound Care and Compression Bandaging, Ear Irrigation, Annual Health Checks and Health Monitoring, Family Planning, Treatment Room duties, Anticoagulation, Venepuncture and Cervical Cytology. Jane set up a swimming programme for adults with chronic diseases with an Olympic Games grant. The programme is now supported by the South Worcestershire Care Commissioning group. Lisa trained as a Registered Mental Health Nurse in 1994 in Leicester, at the same time gaining BSc (hons) Nursing (Mental Health). She has worked in both Forensic and in-patient care and in A and E as an Alcohol Liaison Nurse. The majority of her career has been in the community both as a Day Hospital Manager and Community Psychiatric Nurse. Lisa has an interest in training and was a Nurse Adviser in Schizophrenia in the private sector. More recently Lisa has gained a qualification in Preparing to Teach Adults in Life Long Learning enabling her to work as a sessional trainer for Festival Housing and Worcestershire County Council. This experience led her to the position of Health and Social Care trainer in the NHS, implementing government led CQUINS training. She is passionate about quality nursing care underpinned by exceptional and up to date training which is why practice nurse training recruit expert speakers. Lisa is currently focusing on managing this training business and her private practice.